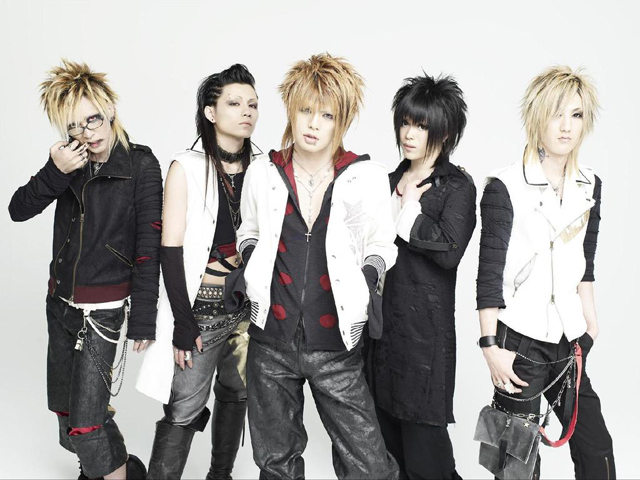 vistlip is a five member visual-kei band that formed in 2007. Their first mini-album, “Revolver,” which was released in April of 2008, garnered a lot of attention for its high degree of perfection uncharacteristic of newcomers to the music scene. Their popularity lies in their somewhat sorrowful, melodious songs, uniquely realistic lyrics, and vocalist Tomo’s soft, feminine voice. Guitarist and main composer Yuh is well-versed in many types of music, from classical to rock, and the application of that to vistlip’s songs along with his powerful performances are indispensable to the creation of vistlip’s sound. Their extensive ability as musicians, featuring both hard songs and catchy, flamboyant numbers, continues to amplify their popularity.